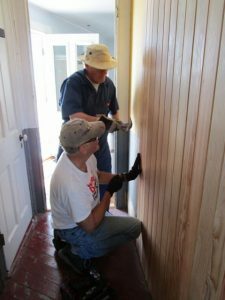 Workday: Thomas Point Lighthouse – May 2, 2017 – Chesapeake Chapter U.S.L.H.S. Tony and Bob put up paneling in workroom. On a windy May 2nd our second work crew of the season spent the day out at Thomas Point Lighthouse. They continued the installation of paneling that was begun last year in the workroom. 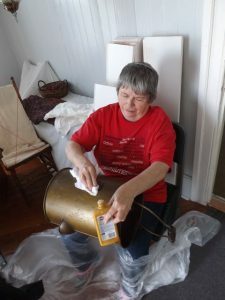 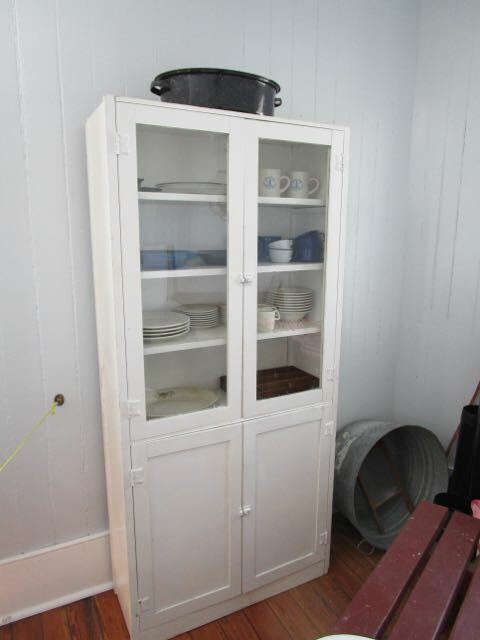 In order to prepare the lighthouse for visitors the kitchen displays that had been packed away for the winter were unpacked, polished and put in place. 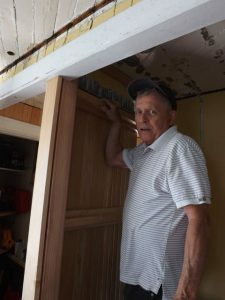 In order to prepare the lighthouse for the coming preservation season volunteers organized some of the wood in the workroom. 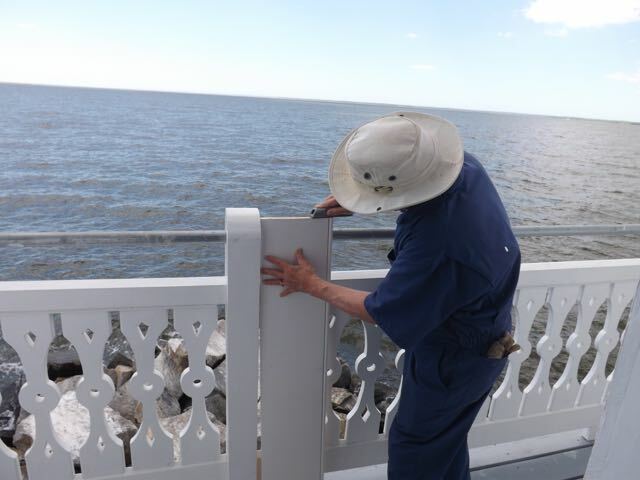 They also worked on the bird squawker in the hopes that it will keep our feathered friends away from the light….. one can always hope!